WebPRNT eliminates the need to install drivers or download software. 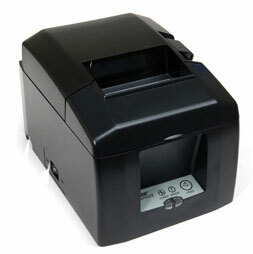 WebPRNT enables printing from any local device hosting a web-based or native application to Star’s TSP650II WebPRNT thermal receipt printer. Competitively priced, WebPRNT enables printing from any application compatible with all operating platforms without the need for expensive multi-platform development costs. For further assistance finding the right Star printer for your application, contact us at BarcodesInc.